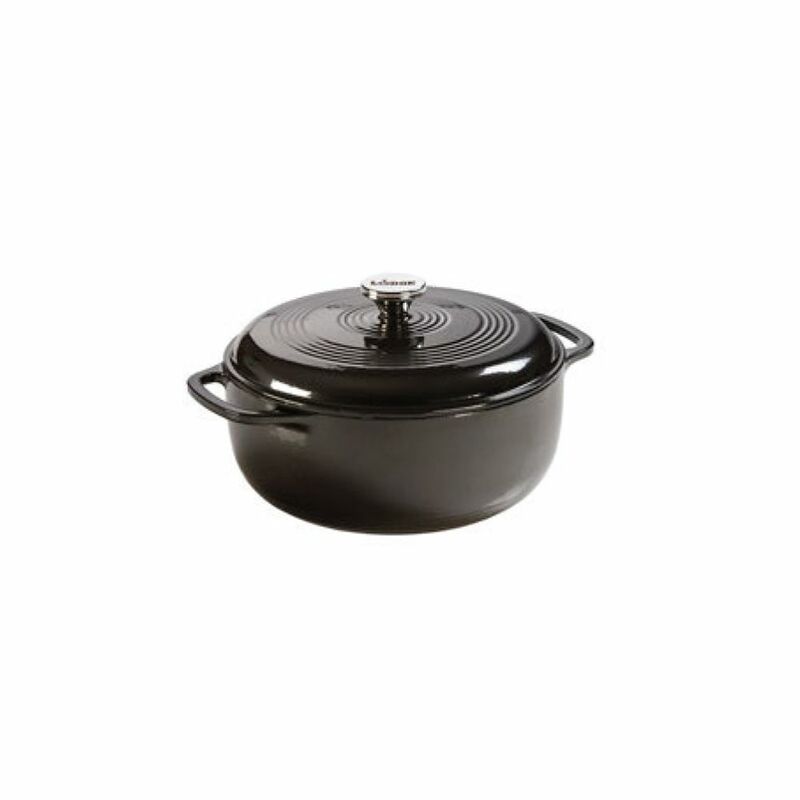 Enamel Dutch Oven, 6Qt, Midnight Chrome Since 1896, the Lodge family has been making cast iron cookware of the highest quality. We always strive to provide an unmatched experience at the greatest value. As times change and techniques evolve, we look to pioneer progress, but always with our roots firmly in place. Lodge's century-old tradition of excellence continues as we marry the benefits of cast iron with the beauty of porcelain enamel. Our enameled cast iron is made to our strict specifications by our partner foundry in China.